Teshuva. 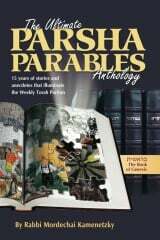 It is the word of the hour, and there is no better time for the Torah to talk about it than the week before Rosh Hashanah. It means repentance. It means not only taking heart but even changing heart! And this week the Torah tells us that the requirements are not as difficult as one would perceive. “It is not in heaven or across the sea. Rather it is very near to you – in your mouth and in your heart – to perform” (Deuteronomy 30:12-15). The Ibn Ezra comments on the three aspects of commitment that the Torah alludes to — the mouth, the heart and the performance. In practical terms, there are commandments of the heart, there are those that entail speech, and there are those that require action. But on a simple level, the Torah seems to discuss a process that involves commitment before action. It takes the heart and the mouth to make the commitment before the action is performed. Thus the Torah tells us, “it is very near to you – in your mouth and in your heart – to perform.” The sequence of events, however, seems reversed. The Torah puts the mouth before the heart. Shouldn’t the Torah have written, ” It is very near to you – in your heart and in your mouth- to perform”? Doesn’t one have to have wholehearted feeling before making verbal pledges? Why would the Torah tell us that it is close to your mouth and your heart? In the years before the establishment of the State of Israel, Rabbi Aryeh Levin, the Tzadik of Jerusalem, would visit the inmates of the British-controlled Jerusalem prison on every Shabbos. Though most of the Jewish prisoners were not observant, they would quickly don kippot before the revered Rabbi would greet them. Then they would join in the Shabbos morning prayer service that Reb Aryeh organized and they would read along with the rabbi, as if they were observant Jews. The entire scene agitated one particularly nasty fellow named Yaakov. He would try in every way to irritate the gentle Rabbi. Each Shabbos, he would purposely light up a cigarette in Reb Aryeh’s face in order to disturb him. Reb Aryeh was never fazed. One Shabbos, Yaakov stormed into the makeshift synagogue and snapped at the aged Rabbi. It was not long before Yaakov became a steady member of the prayer group. The Torah may be hinting at a powerful message. It may be telling us that even though our hearts have not arrived as yet, it is still important to use our lips to communicate the commitments and pray the prayers of the Jewish People. The Torah is not far away. It is close and easy for your mouth. The books are available. The siddur is understandable and translated. It is very near to your lips. All you have to do is talk the talk – sincerely. Soon enough, you will walk the walk with the same sincerity as well. 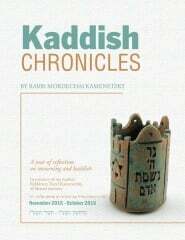 The author is the Dean of the Yeshiva of South Shore.